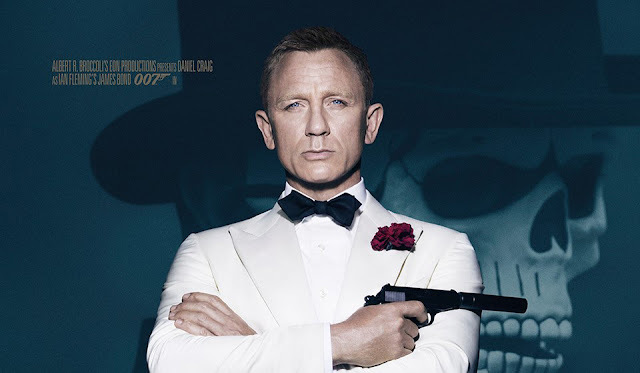 The latest official poster from SPECTRE has just been released, and it features Daniel Craig as James Bond in a white tux set against a dark green tinted version of a man in a skeleton outfit. The latter may be from the Mexico City-set opening sequence which takes place during the 'Day of the Dead' festival. 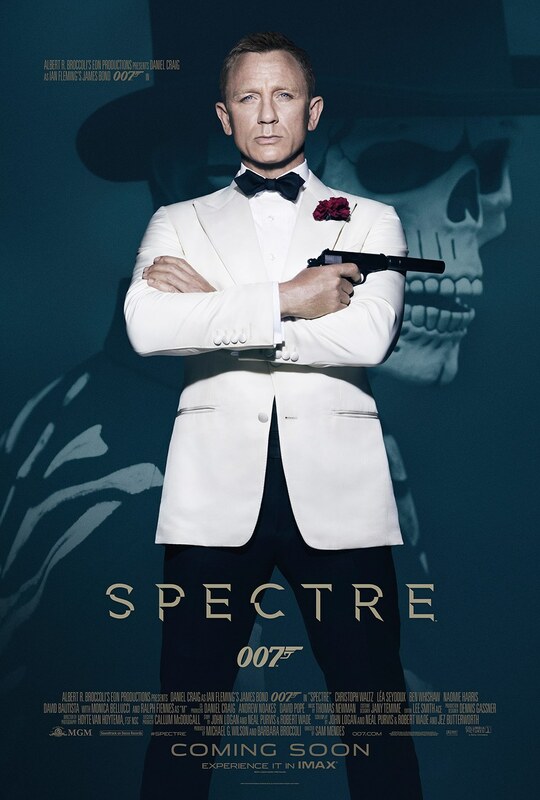 SPECTRE follows the release of SKYFALL, the biggest Bond film of all time, which took in $1.1 billion worldwide. Watch Daniel Craig in the First Full "Spectre" Trailer Now! A cryptic message from the past sends James Bond (Daniel Craig) on a rogue mission to Mexico City and eventually Rome, where he meets Lucia Sciarra (Monica Bellucci), the beautiful and forbidden widow of an infamous criminal. Bond infiltrates a secret meeting and uncovers the existence of the sinister organisation known as SPECTRE. Meanwhile back in London, Max Denbigh (Andrew Scott), the new head of the Centre for National Security, questions Bond’s actions and challenges the relevance of MI6, led by M (Ralph Fiennes). Bond covertly enlists Moneypenny (Naomie Harris) and Q (Ben Whishaw) to help him seek out Madeleine Swann (Lea Seydoux), the daughter of his old nemesis Mr White (Jesper Christensen), who may hold the clue to untangling the web of SPECTRE. As the daughter of an assassin, she understands Bond in a way most others cannot. As Bond ventures towards the heart of SPECTRE, he learns of a chilling connection between himself and the enemy he seeks, played by Christoph Waltz. Sam Mendes returns to direct SPECTRE, with Daniel Craig reprising his role as 007 for the fourth time. SPECTRE is produced by Michael G. Wilson and Barbara Broccoli, from a script by John Logan and Neal Purvis & Robert Wade. The film also stars Dave Bautista and Rory Kinnear. Opening across the Philippines on Nov. 06, 2015, “Spectre” will be distributed by Columbia Pictures, local office of Sony Pictures Releasing International.